Light the night and enjoy time in the pool, at the beach or river with the new Wahu GLO range! 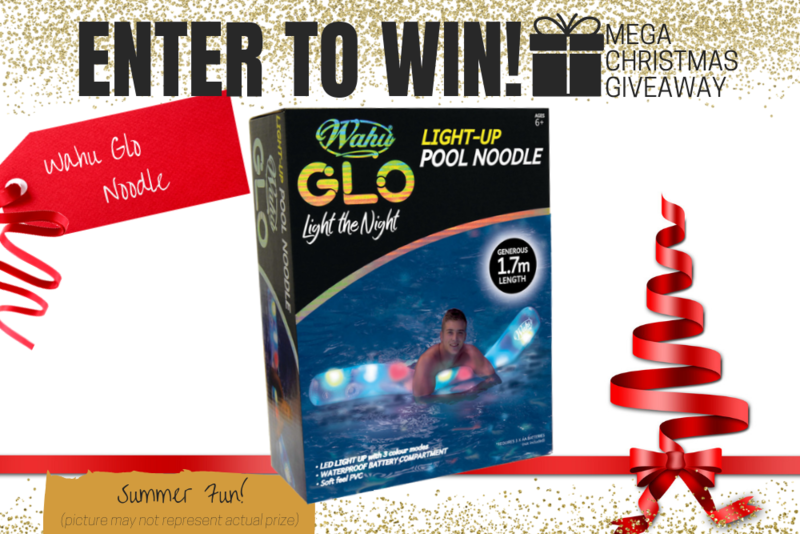 Available in a variety of shapes, including Raft ($39.95), Tube ($29.95), Noodle ($26.95), Lounger ($49.95), Bubble Seat ($49.95) and Ball ($19.95); Each unique shape glows brightly and illuminates the water around it! Suitable for ages 8+. Available at all leading retailers. 1. **Wahu GLO - Noodle. Total Prize Value $26.95** AUD (the "Prize"). 2. It is the responsibility of the winner to collect the Prize within 7 days of the end of the Competition Period from the Promoter’s Mornington office. 3. The Prize, or any part thereof, must be accepted as awarded and is non-negotiable, non-transferable to another person and non-convertible and is not transferable for cash. 4. The prize must be collected from the Promotors Mornington Office, unless otherwise advised.